***NEW PRICE & HOME WARRANTY! 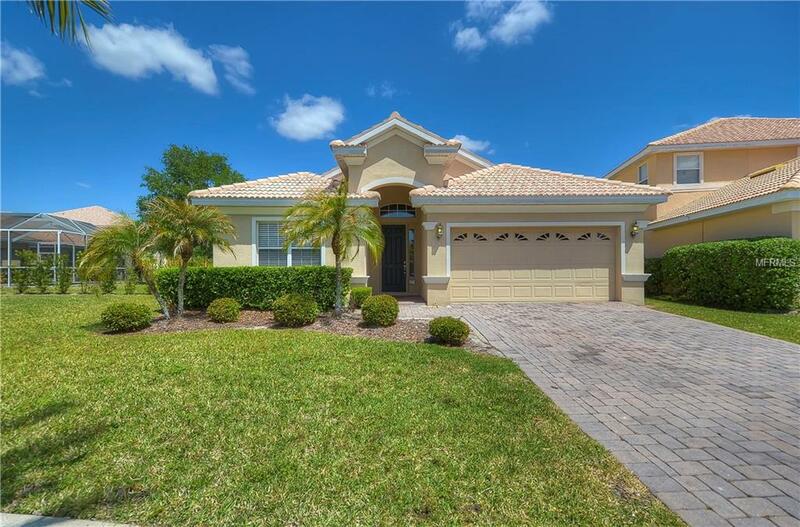 *** This fabulous home is located in the highly sought after community, Cory Lake Isles. Lush palm trees line the brick streets that lead to this home with approximately 2,100 square feet of living space. Architectural lines, tile roof, and the paver driveway and entryway give this home outstanding curb appeal. Enter the tiled foyer and you'll immediately appreciate the open floor plan with expansive ceilings throughout the main living area. The formal dining room and family room are adjacent to each other making an ideal situation for formal gatherings or day-to-day living. An impressive kitchen offers lots of counter space and 42" maple cabinets. All major appliances are included. This split floor plan features a restful master suite with a roomy walk-in closet, and private bathroom with garden tub, shower, and two separate vanities. In addition to the secondary bedrooms, there is a bonus room which is ideal for an office, media room or study. The interior offers neutral colors certain to satisfy anyone's decor preference. Cory Lake Isles is a gated community offering a host of amenities including: playgrounds, basketball court, tennis court, pool, and the famous "Beach Club". Located near major shopping, dining, and much more! Schedule your tour right away to see everything this home has to offer. Additional Lease Restrictions Confirm All information With Hoa Firstservice Residential Rory Harding Rory.Harding@Fsresidential.Com 813-986-3200. Pet Restrictions Confirm All information With Hoa Firstservice Residential Rory Harding Rory.Harding@Fsresidential.Com 813-986-3200. Listing provided courtesy of Dennis Realty Property Mgmt..